I wasn’t sure what to expect from this one. It is a beautiful polish but it does have the shimmer and I knew it wasn’t really opaque. You can see it barely shows up on the white but I actually don’t hate it on the black. It shows off the shimmer with a very subtle and ‘milky’ lilac base. 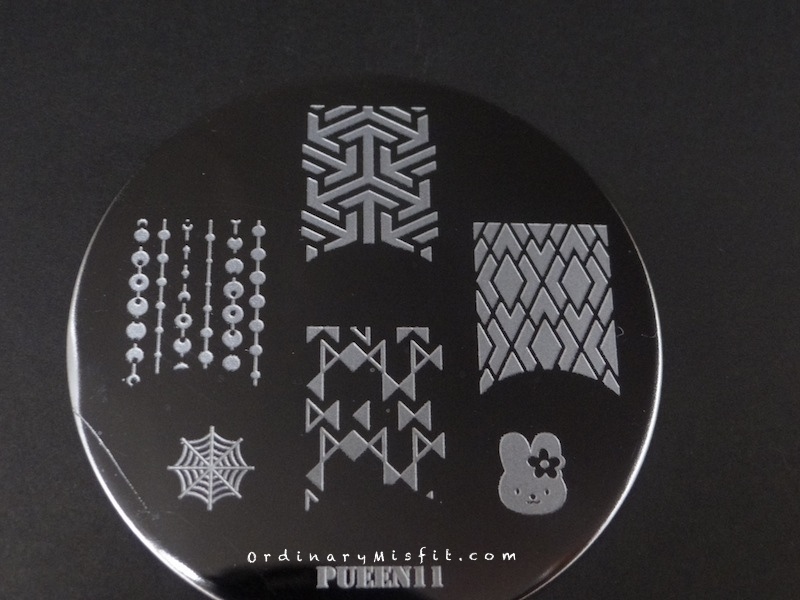 I think it can make for some great subtle stamping over darker colours like black and even a dark purple. I thought this was a soft lavender but it looks much more grey one stamped. It shows up ok on the white and fairly well on the black. I think it will work if you want this specific shade but it’s not anything mind-blowing. I feel like I don’t even have to say anything about this. It shows up beautifully on the white and perfectly on the black. The holo is just gorgeous on the black. I love! This is another winner for me. It shows up beautifully on the white and the black and stamps a charm. What do you think? Do you have a favourite? Without a doubt, Kings & queens and Invitation only are my favourites. Do you want to see any of them stamped over a specific colour? Do you have an idea for a stamped design you would like me to do? Do you have any suggestions for changes or additions you would prefer on these posts? I would love to hear from you. Or if you want to choose the next 4 polishes let me know.